What goes better together than the finest Swiss Chocolate and French Red Wine? The Lindt & Red Gift Basket features a delectable combination of the finest Luxury Belgium Chocolates and French Red Wine. 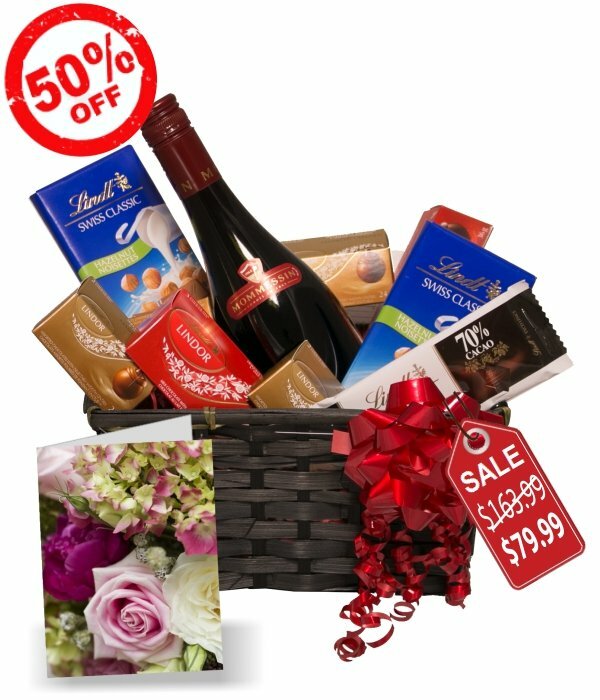 Lindt & Red Gift Basket includes a selection of eight (8) Lindt Chocolates and one (1) 750ml bottle of French Red Wine all carefully arranged in a wicker basket and accompanied by a full size Card to express your wishes. Send Something "Extra" Special - Send Lindt & Red!